​The quality of Care Planning is of concern to organisations across the country, with mixed results from local and national patient surveys. Person centred planning should be at the heart of professional practice. Policy documents, NICE guidance and good practice initiatives have the expectation that people are actively involved in the decisions about their care and treatment. 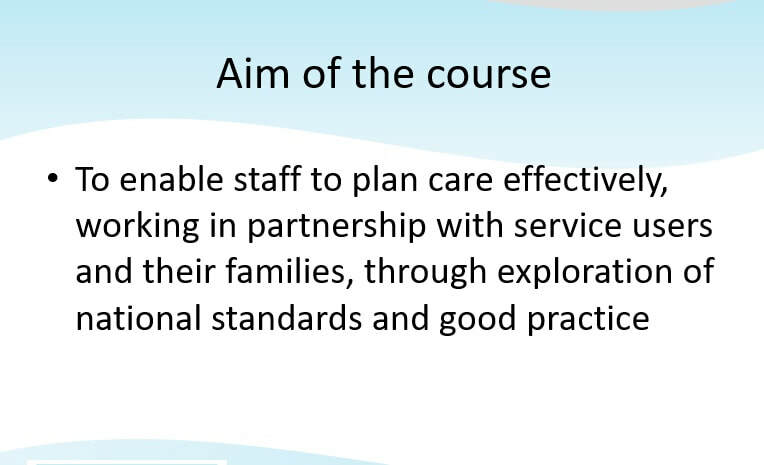 One of the biggest challenges faced by health and social care staff is to plan care effectively and develop and write sound care plans that are outcomes-focused, based on recovery and wellbeing, and clinically effective. This training package has been developed nationally by the CCA based on best practice and national standards, and has been trialled by experienced CPA and Care Planning trainers. The package has a template programme, so can be used off the shelf, but can also be used in a flexible way to focus on local concerns and priorities. It allows for the use of local policies and structures, while emphasising national requirements and good practice. 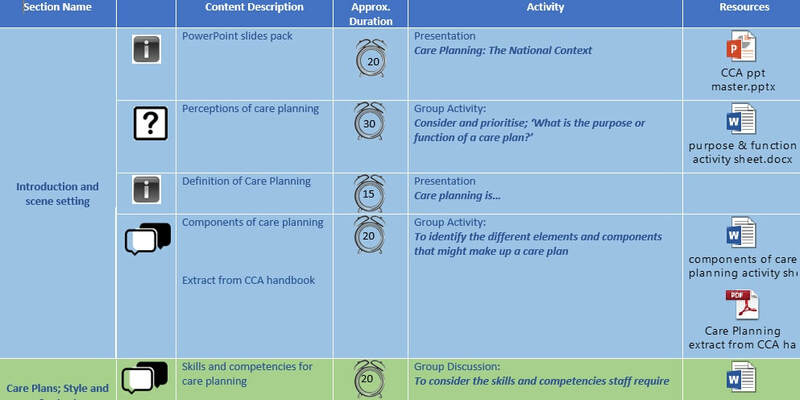 The package is supported by the national good practice guide ‘Writing Good Care Plans’ and includes trainers notes, session plan, suggested programme, hand-outs, case studies, presentations, templates and guides. · How can you evidence a quality care planning process? · What are the elements of a good care plan? · What are the barriers to involvement and how to manage these - how can people own their own plans?